Colorado-based The Fray has struck a nerve around the world with their latest music video for “How To Save A Life”, becoming linked with an online campaign focused on moral courage. 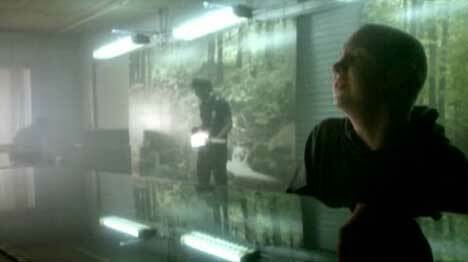 The first music video, included on the single CD and available at iTunes, features The Fray singing in a warehouse with large prints of greenery on the walls. Outside in the forest there’s a car crash – the victims all frozen in time. Lights shine through the window of a home, flashing over an embracing couple. Filming was directed by Sam Brown at Flynn Productions. 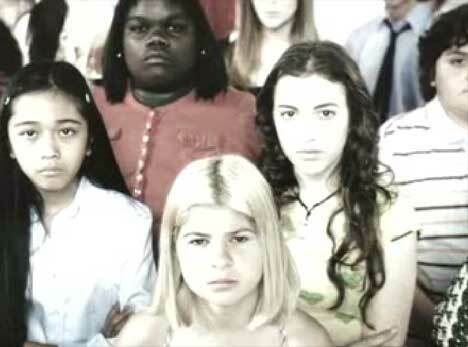 The second music video, released in December 2006, shows teenagers against a white background, each expressing intense emotions of grief, rage, joy and despair. Lead singer and songwriter Isaac Slade sits at a piano, singing his poignant message while text messages reveal tips on how to save a life: Listen, Hold Still, Let it out, Talk to Someone, Touch, Breathe, Cry, Accept, Forgive, Have Faith, Surrender, Release the Fear, Open Up, Remember. Over the 4:24 minutes we see a variety of young people appear to come to terms with grief and discovering ongoing purpose in their lives. The video was directed by Mark Pellington via Crossroads Films‘s music video section, Merge Films, with producer Norm Reiss, director of photograpy Morgan Susser and editor Nathan Cox. Mark Pellington, the director of The Mothman Prophecy and Arlington Road, as well as Pearl Jam’s Jeremy and U2’s One (Buffalos), is no stranger to grief. His wife Jennifer died in 2004. Pellington in an interview with Video Static said that he approached this music video from the perspective of his daughter, the band and the many people engaging with the song’s message. Slade explained in USA Today, July 12, 2006, that the song was inspired by his experience as a camp counselor working at a camp for teenagers. Colin Fahrenkamp, a 19-year-old soccer player in Missouri, had listened to the song the night before he was killed in a car accident. After his death, Colin’s family started hearing stories from his friends about how he quietly performed small acts of courage which saved their lives, the lives of friends, and the lives of their siblings. The song was played at Colin’s funeral and some of his friends had “Save A Life” tattooed on their arms. Colin’s family and friends set up the Colin P Fahrenkamp Foundation and Save A Life campaign designed to encourage teenagers and their parents to do what it takes to stay alive, get home safely. Their web site includes stories about simple but courageous actions that have saved a life. The Fray opened a YouTube How To Save A Life Group inviting listeners to submit their own music videos for the song. At this point there are ten music videos. Another video, focusing on inner conflict and inner peace, was made by Carnegie Mellon University student Sudeep Paul who was charged with trying to break into Pittsburgh Heinz Field while filming in November 2006. Sudeep was hoping to add in a part acknowledging one of his best friends who died nearly two years ago. Particularly poignant is Michael D. Shiver‘s re-edited video of a young girl struggling with life’s hardships. The 9/11 memorial video has sparked off a huge number of comments.